I absolutely love sharing in my clients' milestones. It is the BEST feeling ever, especially when I've had the privilege of photographing these lovely people before. 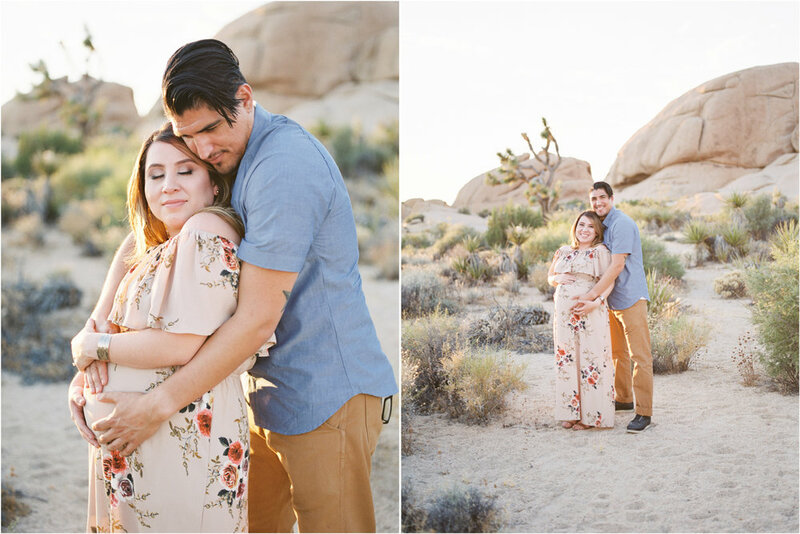 Nina and Chris traveled all the way from Los Angeles to Joshua Tree to have me photograph their soon to be family of three!! Pinch me -- Is this real life?! I get to call this my job, ya'll. I couldn't be more thrilled to share this session with you as Nina and Chris get ready to welcome their newest family member in just a few short weeks! By the way, they chose to not find out the gender of the baby!! I'M SO EXCITED to find out what Baby Moran is when they make their debut (along with the rest of the world)!!! 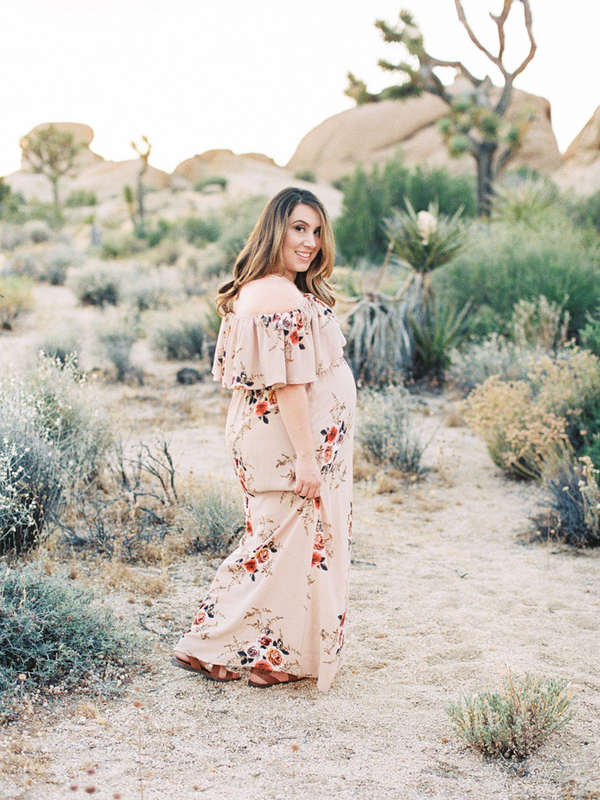 This dreamy golden hour maternity session shot on entirely on film in Joshua Tree, California has me swooning over what a precious gift motherhood is. Nina is glowing and Chris is just smitten with her, I mean can ya blame him?! The light did not disappoint and it rarely ever does out here in the desert! A little back story to how I met Nina and Chris! 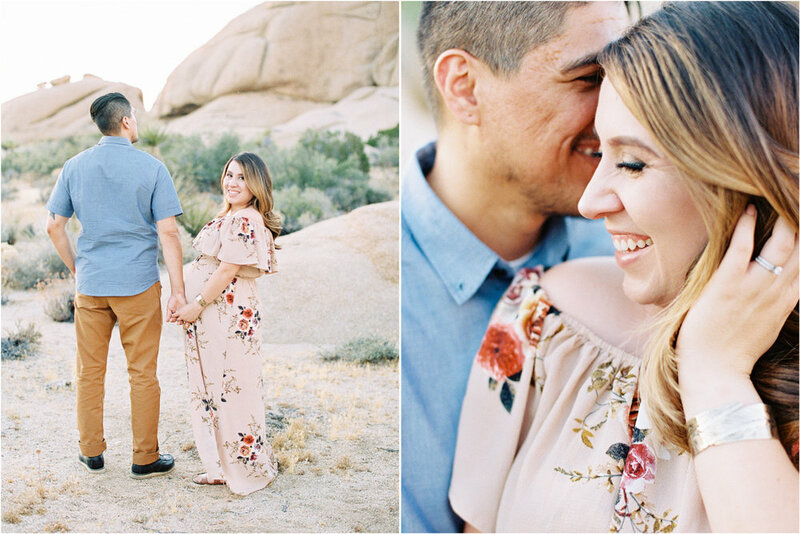 They were actually the lucky winners of my portrait giveaway session last year and they loved Joshua Tree so much they decided to come back to document this precious season of life! I am honored they thought to contact me to capture this milestone in their lives! 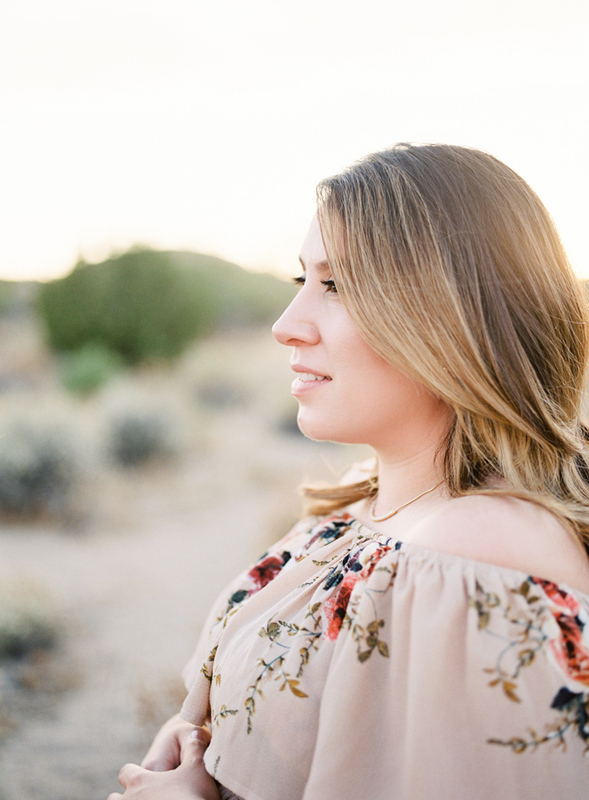 I love motherhood sessions so much and Nina made it easy to see why! I am also slightly obsessed with the fact that they have an English Bulldog who has his own Instagram account (@charles_thebully)! If you're wondering, yes I follow him! Charles is the Moran Family's first babe and I'm sure he is delighted to be getting a human soon! I can't wait to follow along with them on this new adventure! Seriously, Bulldogs make THE BEST siblings! I wonder if he'll be getting a sister or brother?!! 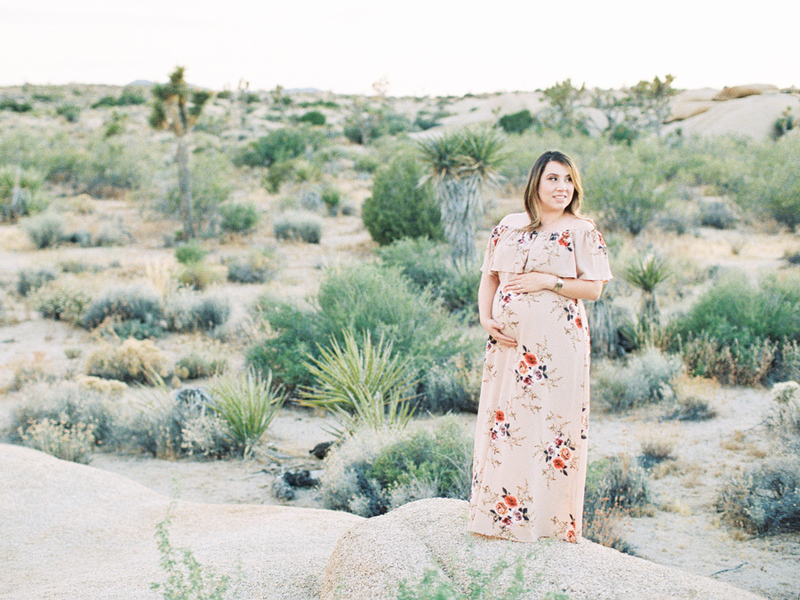 Are you ready for some gorgeous, dreamy photos from the Moran Family's Joshua Tree, CA maternity session?! Me too! 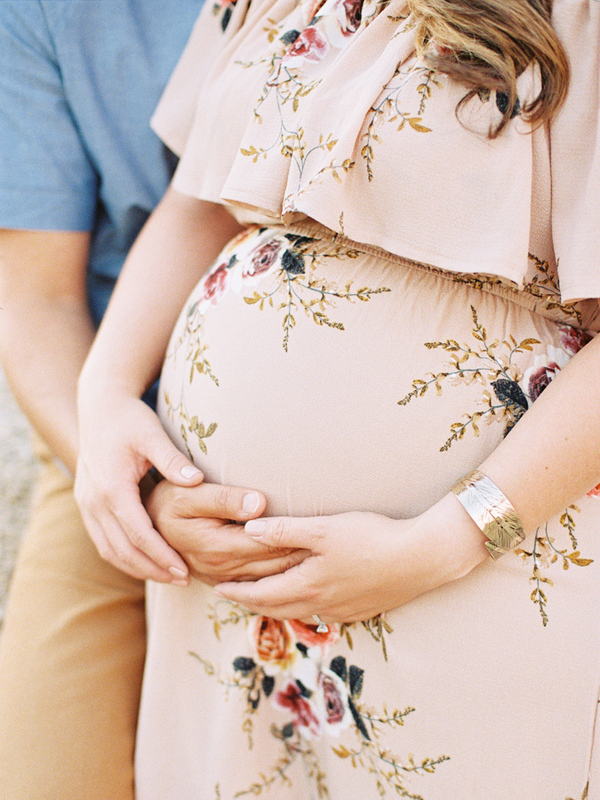 Enjoy this golden hour prettiness!